Hooks are made of aluminum and each size has it's own unique grip color. 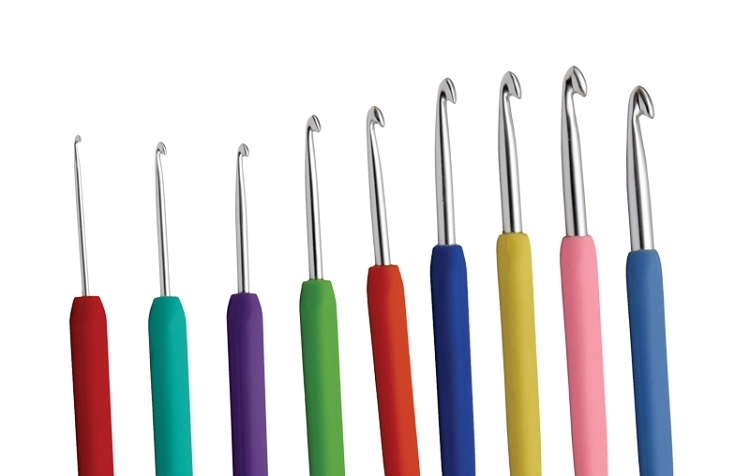 I love these crochet hooks, my fingers have the beginning of arthritis and these are a dream to hold! I can crochet for hours. Q: are the sizes listed on these hooks or do you sell a card listing the colors and size or do you have a case that has pockets with sizes marked?